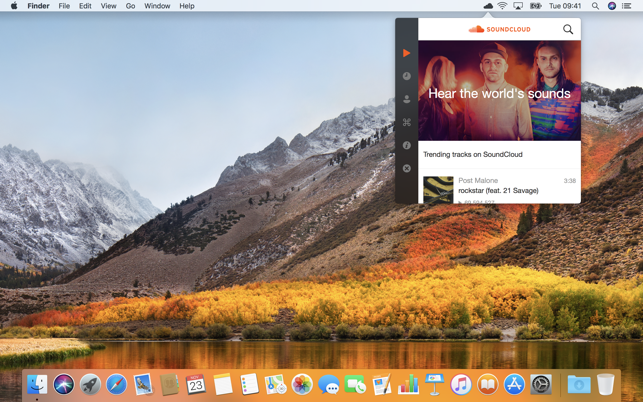 - The app is located in the menu bar, allowing you to always keep SoundCloud open, saving you from worrying about managing browser tabs, or losing your music when you close/restart your browser. 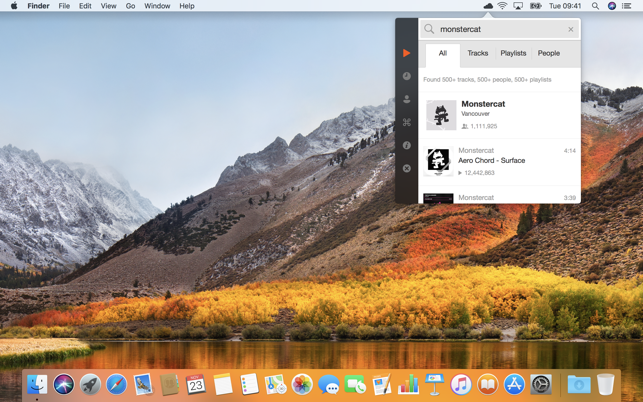 - Stratus also features customisable keyboard shortcuts - you can quickly pause/play or skip to the next/previous song no matter what you are currently doing. - Ever forgotten the name of a song you listened to? The app keeps a list of your recently played songs, so you can effortlessly jump back to what you listened to earlier! - Stratus is also optimised for efficiency, it occupies very little system resources and therefore uses very little power - perfect if you are running on battery power. - Note: SoundCloud is a registered trademark of SoundCloud Ltd. Any other trademarks and/or trade names are the property of their respective owners. 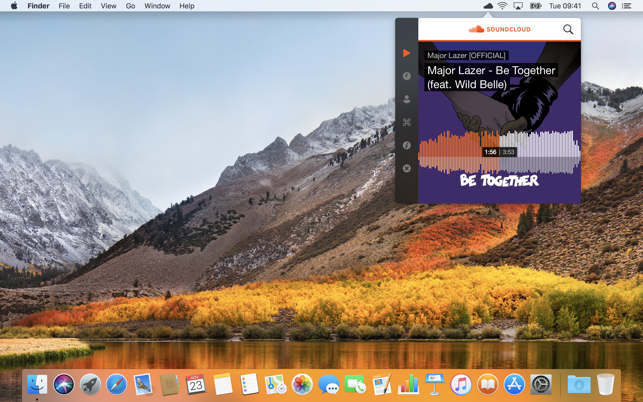 Stratus is a third party application that is not developed by, endorsed by, or associated with SoundCloud. Copyright © 2015 Miles Dunne. All rights reserved. SoundCloud is a registered trademark of SoundCloud Ltd.